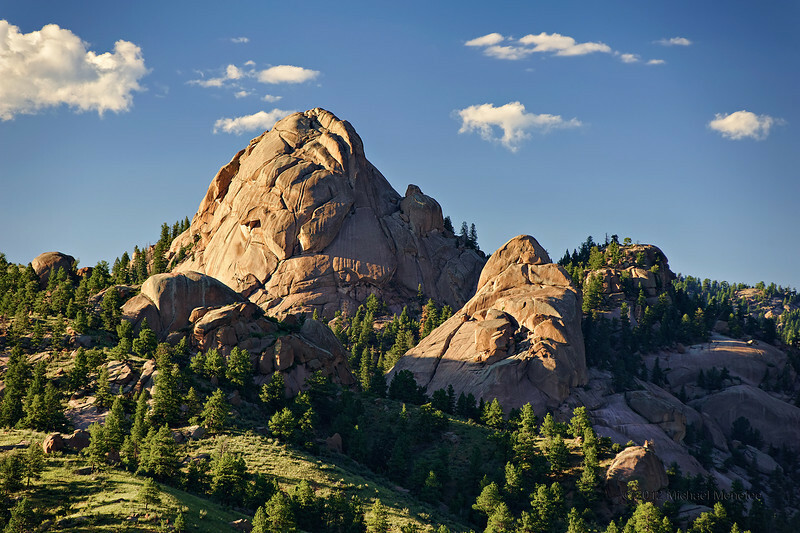 Dome Rock State Wildlife Area provides a classic example of an exfoliation dome that formed on Pikes Peak Granite. This is the dome formation just to the west of Dome Rock and may be known officially as Point 9112. If anyone knows the official name for sure, I would be much obliged!